Arsenal are the last Premier League team to stop an opponent scoring on their travels, and had to fight hard to claim this one against Watford. Arsenal Head Coach Unai Emery revealed his pleasure after his side kept a clean sheet in their victory over a direct Watford. Having not kept an away clean sheet all season, the Gunners had to fight hard to claim one at Vicarage road, however thanks to some excellent individual performances defensively, they managed to hold. 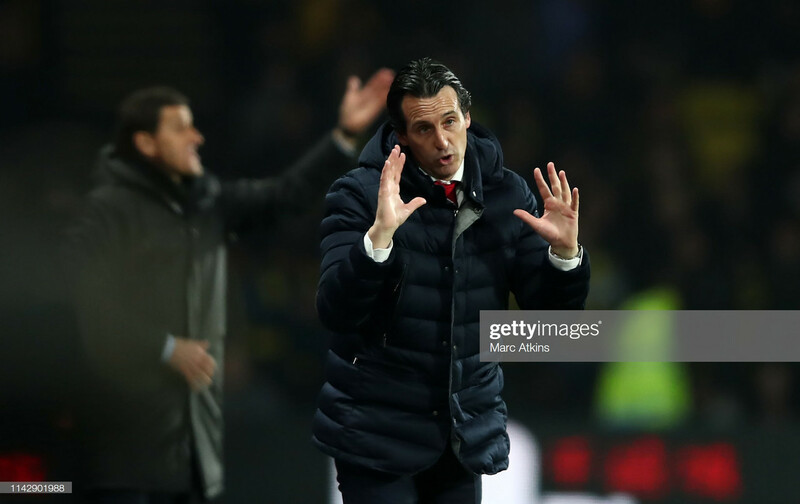 “The three points is I think the most important thing today but also, I think we worked well being consistent in our structure, defending their long balls and set-pieces”, Emery said after the match. After Pierre-Emerick Aubamyang had given the Gunners a tenth-minute lead, Watford Captain Troy Deeney was sent off less than a minute later after a collision with Lucas Torreira. Despite having a man advantage, Arsenal struggled to stay on top throughout the game. “With the ball I wanted to do better, I wanted to control better with the possession of the ball and with one player more on the pitch." Emery said. Arsenal began the match with a back four, however midway through the second half, French midfielder Matteo Guendouzi replaced defender Konstantinos Mavropanos in a switch to a back three. This system did not make it through to the final whistle however, with Emery reverting to a back four again. When asked about these changes in system, the Spaniard said: “We didn’t control like I wanted to control the match. “We are thinking and I was thinking to play with three centre backs to be enough for our build-up and use one player more in the middle, like Matteo as a possibility to help with Xhaka, help with Aaron and Mesut, to give the security in the midfield. Next up, Arsenal will be hoping for back to back positive away performances as they travel to Napoli for the second leg of the Europa League Quarter-Final, where the Gunners know a win or a draw will confirm their place in the competition's semi-finals for the second year in a row. Emery provided an injury update ahead of the game.